Addis Ababa, 25 March 2017 (SPS) - The African Union (AU) Peace and Security Council (PSC) has called on the United Nations and the international community as a whole to give their full support to African efforts to overcome the current impasse in the process of settling the Western Sahara conflict, noting that it has decided to review the situation on a regular basis in Western Sahara on the basis of updates and recommendations provided by the Chairperson of the AU Commission and the AU High Representative for the Sahara Western region. The PSC also decided to conduct a field mission to Western Sahara in 2017, indicating its interest in renewing the mandate of the United Nations Mission for the Referendum in Western Sahara (MINURSO) Which will expire on 30 April 2017, in accordance with Decision 2285 (2016) of 29 April 2016. In this regard, the PSC urged the United Nations Security Council to take the necessary steps to ensure that MINURSO can once again fully exercise its functions so that it effectively oversees the ceasefire agreement, prevent the resumption of violations, and to this end call on the Security Council to assign a human rights mandate to the Mission, taking into account the need for independent and impartial monitoring in the occupied territories. 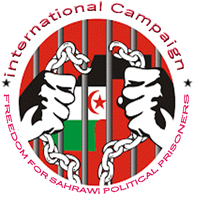 "The Council also calls on the United Nations High Commissioner for Human Rights to take appropriate measures in this regard," according to its statement, calling also on the African Commission on Human and Peoples' Rights ( ACHPR) to undertake a mission to Western Sahara as soon as possible in order to assess the human rights situation and make recommendations to the Council on the basis of the results of its visit to the region in September 2012.